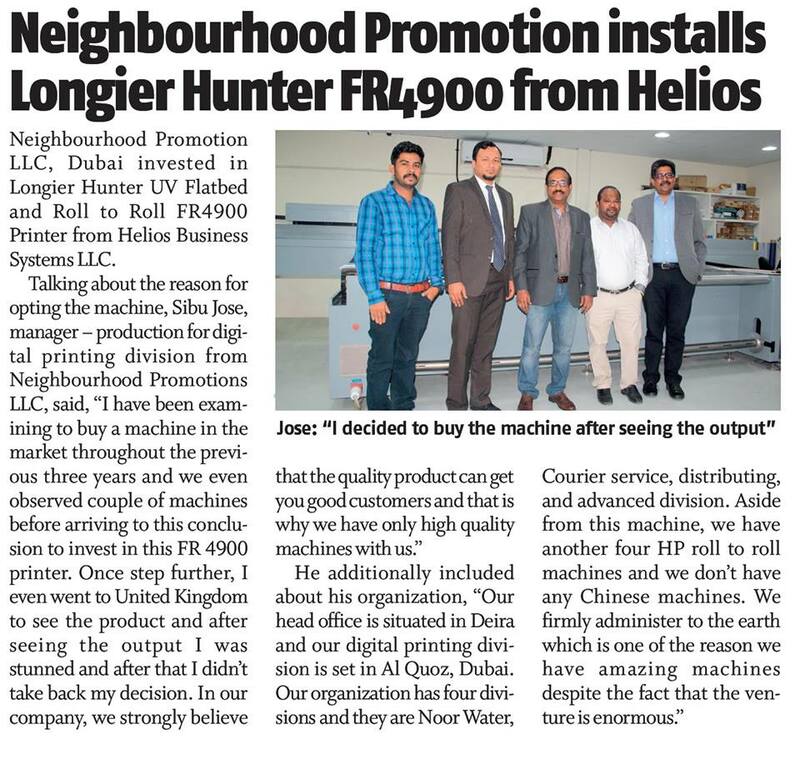 Neighbourhood is a distribution and digital printing company engaged in the distribution of promotional materials enabling you to reach your target audience on a national or local basis in UAE. Apart from the core activity of distribution, Neighbourhood is also engaged in the field of Printing, Advertising, Marketing and Publishing. Whether you call it leaflet distribution, door to door flyer distribution, letterbox marketing, door drop marketing or leaflet delivery, the end result is indisputable: delivering promotional material via leaflets is one of the most potent, flexible and cost-effective advertising methods available. Digitalprintinguae.com was founded to bring a new standard of quality and service for commercial printing. From the inception we have established ourselves in such a way where we offer best pricing, integrated dealing, finer quality and service. Neighbourhood publishing is the online publishing arm of Neighbourhood Promotion LLC, Dubai. We are the first digital media came up with the idea of integral news portal which serve all the worldwide news in a single platform called arabia365.com in English language and arabianewspaper.com in Malayalam (South Indian language). We offer responsive and distinctive services. High-quality products to our customers. We are constantly adding new ideas and new lines of products with extra features, We strive to incorporate the best in energy- and money-saving techniques and materials into our projects. The distribution and digital printing company has provided planning and architectural services throughout for few years. Standards are crucial, and we conduct rigorous checks to ensure that each and every campaign is executed to the very highest criteria. The printing and Distribution has a diverse portfolio of projects that include commercial and hospitality, municipal and government objects. We actively support the use of recycled paper, minimise wastage through well-planned and targeted campaigns. We strive to excel in every service we provide, adding value for our customers wherever possible, and thereby attaining a good leadership in the distribution and advertising industry. Thank you so much for the marvelous exhibition you did for Archeology Museum, it was really beautiful. Your company understands today’s requirements, but that’s not what makes you satnd apart. You also know today’s business world and how to keep customers happy. This is why you win. As soon as I enabled your services/ I saw a significant improvement. It cut my working time in half. This is incredible!